In project management, as in life, preparation is half the battle. When it is time to organize and document a complex project How to Stay Motivated on Long-Term Projects and Not Give Up How to Stay Motivated on Long-Term Projects and Not Give Up If motivation was easy to cultivate, nobody would have any problems doing so! For those who lose motivation over long term projects, these tips may prove fruitful. 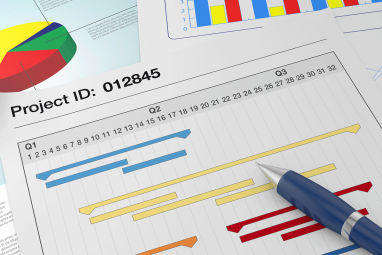 Read More , you may need many different reports, forms, plans, and other resources. 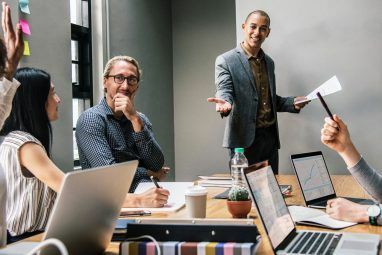 We have compiled a variety of useful Word templates for project management How to Handle Difficult People as an IT Project Manager How to Handle Difficult People as an IT Project Manager A project manager needs to corral different people into a successful project team. There are some soft skills you can call upon to keep the project and team on track. Read More that can help you get started. TidyForms has an excellent project template with a hefty amount of details in a nine-page document. Complete with a cover page, table of contents, document control, a template guide, and tons of information in between, this is an all-inclusive template. 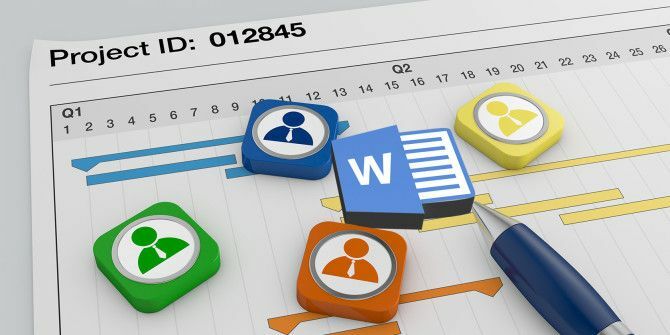 It is outline-structured, includes clear tables for data, and has a spot to insert your project plan from another application, such as Microsoft Project. TidyForms also has a short and sweet project scope template. This document is in a paragraph form, which is good for when a lot of explanatory details are needed. Beginning with the project purpose and moving onto stakeholders, time frames, approach, inclusions, and finishing with sign-offs and document control, it comprises 15 useful sections on just two pages. Project Management Docs is another terrific resource for templates and documents. Their templates come with helpful information for those new to the field. They have a 14-page communications plan, that can of course be shortened if needed, but covers anything you might need for that plan. For an all-encompassing project management plan that includes all sub-plans, Project Management Docs has you covered. This 18-page document includes everything from the project scope and milestone list to the change management and risk management plans. Resource, cost, quality, and sponsor sections are also included. For a work breakdown structure How to Organize Any Project with a Work Breakdown Structure How to Organize Any Project with a Work Breakdown Structure A journey of a thousand miles begins with a single step. Every complex project consists of multiple components. The Work Breakdown Structure can help you identify all the steps and put them into sequence. Read More template, both TidyForms and Project Management Docs have good options. The one from TidyForms is a text based structure with helpful instructions at the beginning, a table of contents, version control, and tabled element definitions. The template from Project Management Docs is a bit more extensive by providing four different views. It has outline, hierarchical structure, tabular, and tree structure views, which makes this template more flexible than the one from TidyForms. It also has a Web dictionary and glossary of terms. If your company does not require a specific change request form, this one has the information you need. With a clean table format, it not only includes the change detail spots for description and reason, but also cost effects, rejection reason, and approvals with signature lines. If cost effects are not part of your purview on the project, but alternatives and implications to quality are, then this template might be a better choice for you. If you are using Word 2016, you already have access to many useful and well-formatted templates for project management. Simply go to File and then select New to open the template section. If you type in the word Project, you will yield the most results. While this may give you more than you need, if you narrow it down using the phrase Project Management, some templates will not appear. One pair of templates that go well together includes a project scope report and project change authorization. Not only does the look and feel match, but often times the project scope is changed and an authorization to do so is necessary. Each form has a handy drop-down to add the date, tables for signatures and authorizations, field hints, and easy click-to-type sections. Word 2016 has a few good project status reports that are formatted a little differently. It really depends on your needs and preference for which of the three you prefer. But, each is useful and accomplishes the goal. The first one lays out issues, milestones, and summaries nicely with a convenient drop-down at the top for the overall project status along with a legend. This one has a more casual look to it. If you need a status report with a specific budget section and a clear table structure, then this is your report. It also has a drop-down for the date and a sophisticated, one-page layout. The last status report is clean and precise. It includes a good summary section, budget overview, and risks and issues. Depending on your industry or type of project, Word 2016 offers wonderful templates that you will find useful. A project communications plan, employee weekly status report per project, service invoice, and meeting minutes are all available options as well. Out of the various Microsoft applications that we use for project management such as OneNote, Outlook Turn Outlook Into a Project Management Tool With OneNote Integration Turn Outlook Into a Project Management Tool With OneNote Integration OneNote can do more than you think. We'll show you how to turn your Outlook to do list into a powerful project management tool using the OneNote plugin for Outlook. Read More , and Excel, Word seems to have the most template resources available on the Web. Here is a list of those we have mentioned, with a few others that you can check out if you are looking for a specific template. What Are Your Favorite Word Templates for Project Management? 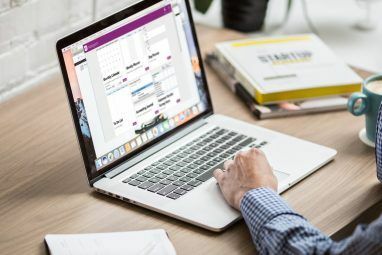 Project managers have many options How to Use Microsoft OneNote for Project Management How to Use Microsoft OneNote for Project Management OneNote is the ideal collaboration tool for managing simple projects in small teams. And it's completely free. See how OneNote can help your projects take off! Read More when it comes to documents, forms, and templates for Word. Whether you have a site you visit How to Better Track & Manage Your Projects With Podio How to Better Track & Manage Your Projects With Podio The best project management tools are simple to start with and flexible enough to grow with your project. We show you how Podio can meet your project needs. Read More , use built-in templates, or create your own, what are your favorites? If you have suggestions or recommendations of your own, we would love to hear from you! So, feel free to share your thoughts below! Explore more about: Microsoft Word, Office Templates, Project Management.